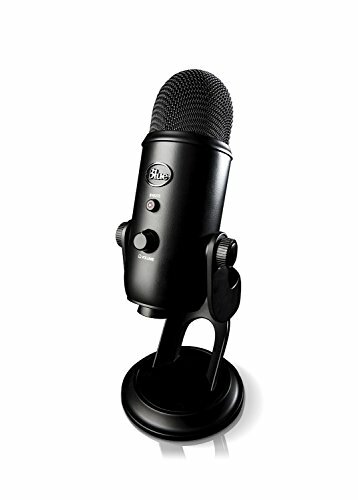 In this article we’ll be looking at the best desktop mics under $200 for streaming on Twitch or Youtube. A microphone is one of the most important items in your streaming arsenal if not the most, so picking a good one is very high on the importance scale. 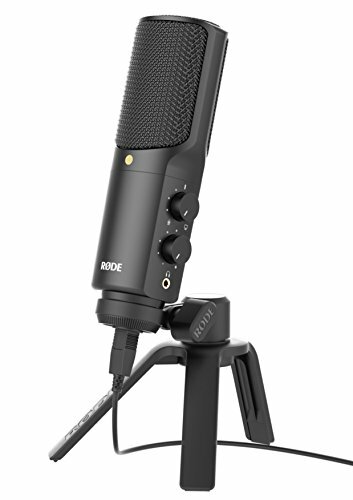 The Rode NT-USB USB Condenser Microphone takes our top pick on this list. This mic is USB connected which is the most convenient in most cases (for gamers anyways). You’ll notice very clear voice recording on this mic and it definitely gives your podcast/stream a much more professional type of feel to it. You can adjust the mic as needed with the on-mic mixer witch is very simply to use. This microphone comes with a tripod stand, pop shield and ring mount which is impressive because you’ll see a lot of mics require you to purchase things like that as a separate purchase. For the quality you get with this mic it will be hard to find anything better in this price range. The Blue Yeti USB Microphone is the most popular mic on this list and it has earned that right through it’s amazing quality/price. This mic is super simple to setup with a basic plug and play system for it. It has a multiple pattern selection for cardioid, bidirectional, omnidirectional & stereo. Crystal clear voice output that will truly impress you when you hear yourself on it. This microphone is perfect for those who do not want many buttons or options to have to fiddle with but still want high quality output. The Audio-Technica AT2020USB PLUS Cardioid Condenser USB Microphone is a great pick for a desktop mic for podcasts, streaming or heck just gaming in general if you really want a high tier setup. It has a very simply control system with the easy adjustment settings being right the on the mic front. This mic reminds me a lot of the Blue Yeti that we just discussed, with its easy setup but high quality output it makes for a solid option to choose from between those two. 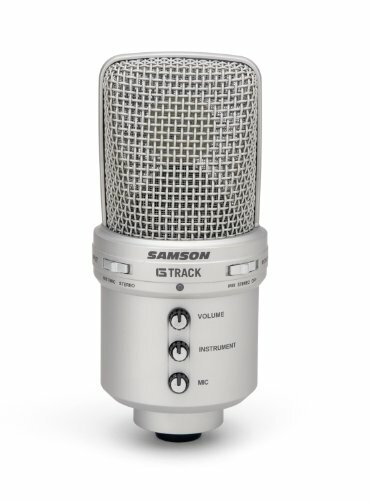 The Samson G-Track USB Condenser Microphone is an impressive piece of equipment that doesn’t have that hefty price tag to match it. Just by picking this thing up, you can tell it’s got an impressive build quality to it. Similar to the other mics listed, it has a simple plug in play type of use to it with USB connection. This mic does have a couple more setting options that you can mess with like the instrument setting. The one thing I would suggest is trying to pick up the shock mount and pop filter bundle option to really get the most out of this microphone. Overall though, even if you don’t get it, you’re still getting a fantastic piece of equipment in this microphone. 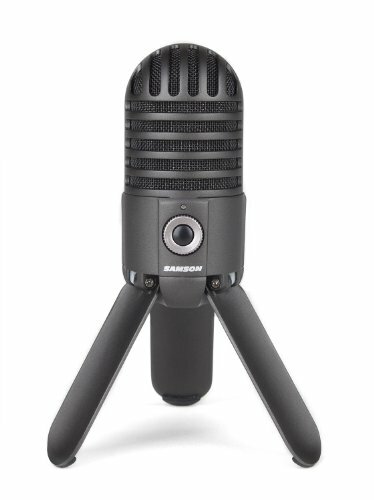 The Samson Meteor Mic USB Studio Microphone is a superb mic that will surprise you with its quality. Don’t let the size of this microphone fool you because it is one of the best that you can find. It’s has a very simple setup which makes getting started with it a breeze. Something I really like that most might take for granted is the rubberized feet this mic has. This has helped me so many times with me accidentally hitting it with my forearm that would have otherwise made it fall over or knock it across the desk. One thing that surprised me with this mic is the absence of background noise (this is a good thing), I didn’t expect it to be this good in that department. My only recommendation is go for the nickel or black color version, something about the chrome look has a slight distraction for me, even out of my peripheral vision. Just my personal thought there, the quality doesn’t change. 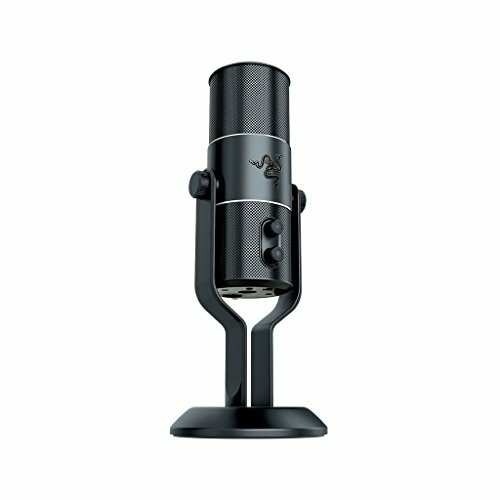 The Razer Seiren Elite USB Digital Microphone was one of the newer type of microphones to be tried and honestly I wasn’t even aware Razer made desktop mics. I’ve used Razer products for gaming so I guess it shouldn’t surprise me they started making these types of mics which have become very popular for Twitch streamers. This mic can easily switch up to four (Cardioid, Stereo, Omni, Bi-directional) different dedicated recording patterns to suit a variety of audio capture needs. Which means you can choose between these settings to work for pretty much any type of use that you can think of like streaming, podcasts, voice-overs, instruments, vocals, conference calls or anything else you might think of. Another bonus to this is I really like the look of this microphone, especially when it’s plugged up because you get that razer symbol lite up, which I think looks sweet. 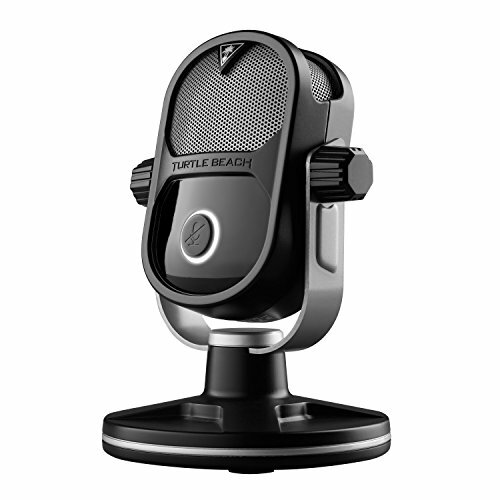 The Turtle Beach TruSpeak Stream Mic is a great all around streaming microphone not only for your computer but consoles as well. Now even though you can use this microphone for other things, Turtle Beach prides this mic as being built for streaming. Turtle Beach is known for their gaming headsets which come with a built in mic, but this is much different with it being a desktop microphone. This mic is very easy to setup with a simple plug & play type of setup. The settings are very easy to understand if you want to mess with anything. I like how adjustable the mic is so you can tilt it up or down on what’s comfortable for you. 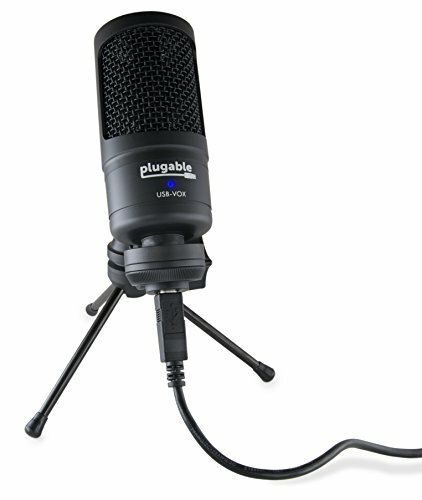 The Plugable Cardioid Condenser USB Microphone is an impressive mic, that has some fantastic specs. It comes with a simple setup desktop stand, with an equally simple plug and play type of setup for getting it going. This mic is ideal for home studio recording, podcasting, and YouTube voice-overs but not limited to these of course. For the price of this mic you get an incredibly impressive piece of equipment that your viewers/listeners should love. 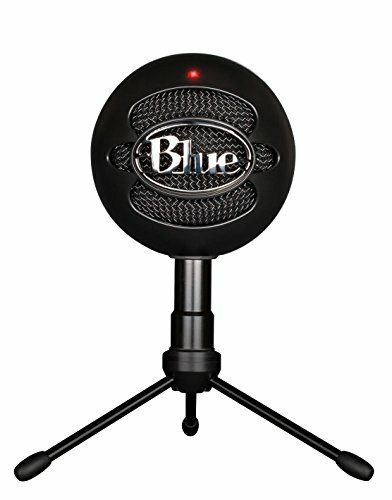 The Blue Snowball iCE Condenser Microphone is our second Blue Microphone to be featured on this list following behind the awesome Blue Yeti Mic that was featured towards the top of this list. This microphone is no where near as good as the Blue Yeti but it’s no where near the price as well. This microphone is still a great mic however and you’ll notice a good difference if you go from using this from a gaming headset mic. The good thing about this mic is the price more than anything because it allows a midway option between gaming headset mics and better desktop mics. From top to bottom is how I ranked the mics on my own opinion so I would tell you to pick in that order but everyone’s taste are different. There is a good range of mics on this list price wise so if you have a certain budget you’re going by then you have some great options to look at here. Other than that just do a little bit further look into each mic that you’re thinking of getting by reading some reviews over on Amazon to see what those who bought it think of it.